Mark Borden joined Junk King in the beginning of 2016. He says, I am passionate about pushing my limits and challenging myself. I feel the most rewarded when I accomplish something worthwhile. Mark had become increasingly interested in the future of waste and recycling. With research, he found Junk King to be a fully integrated system determined to improve the junk removal industry. 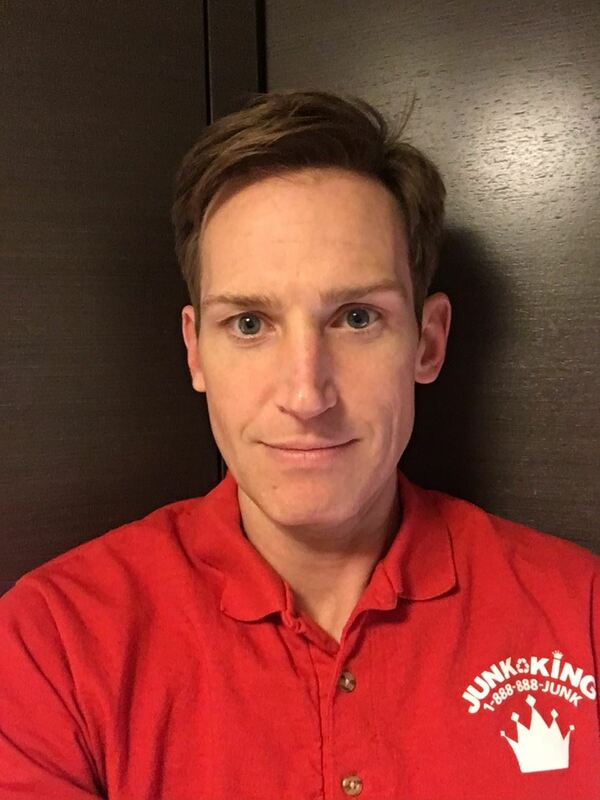 He said, Junk King is a forward thinking company.” He decided to take the plunge and join them as a franchise owner of Junk King NYC/Hudson Valley, focusing on the counties of Rockland and Westchester. Soon, he will be servicing lower, middle and upper Manhattan. One of Mark’s goals is to connect with property managers and landlords. He can offer solutions for clean outs and take the legwork out of the equation. These clients often get stuck with tenant’s junk. It can be recycled or donated. Junk King is known for recycling up to 60% of its haul. If you find yourself in need of Junk King NYC/Hudson’s service, just pick up the phone and call 1-888-888-5865 (JUNK) or book online. They will establish a date; the Junk King NYC/Hudson driver will call you 15 to30 minutes before they arrive. The crew does a walk through and establishes what items are to be removed. They give you an estimate. You agree. They pick up the junk immediately. It is that easy. March 19, 2019 by S.I. The guys were prompt, polite and professional. Money well spent. I didn't have to lift a finger! They were absolutely excellent!!! Fast, prompt and polite. February 20, 2019 by R.S.